You can adjust the respective settings for the various output types (PDF, XLS, CSV, and HTML amongst others). 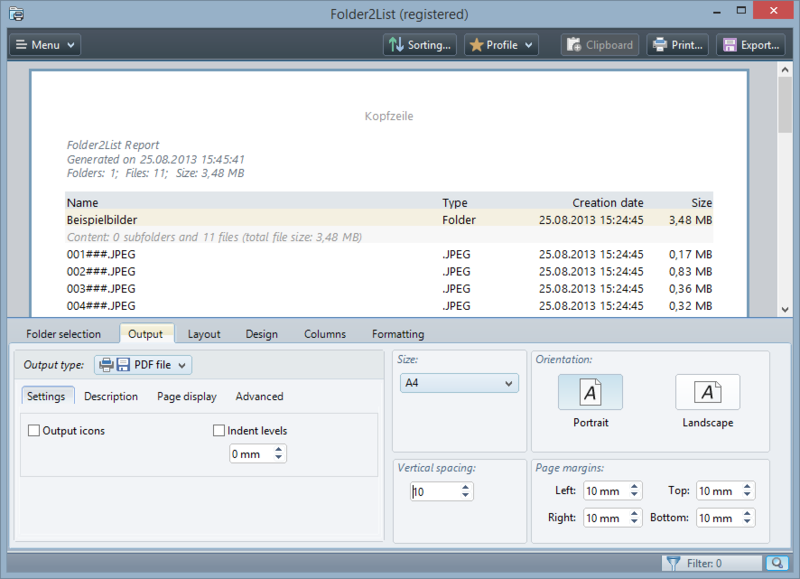 The information required for the file lists can be compiled from a multitude of folder and file properties (for example, name, size, date of creation, and metadata). 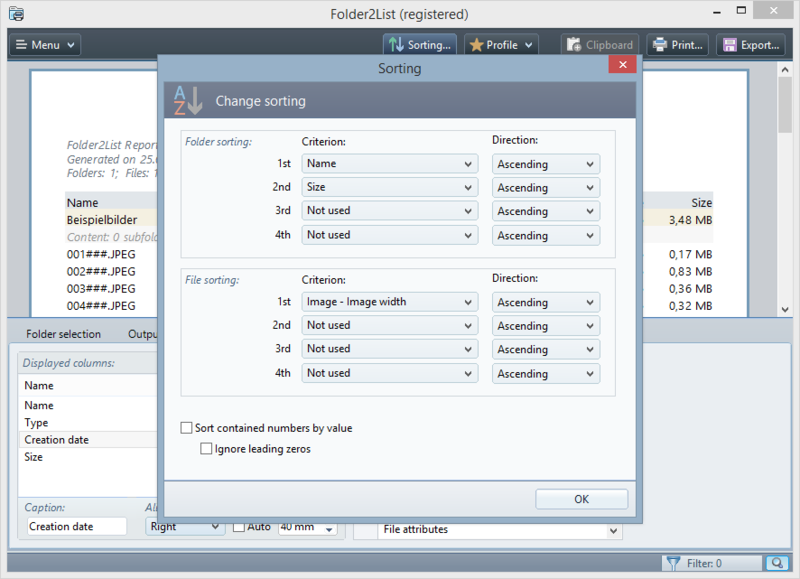 Folder2List offers many options to sort the file lists. 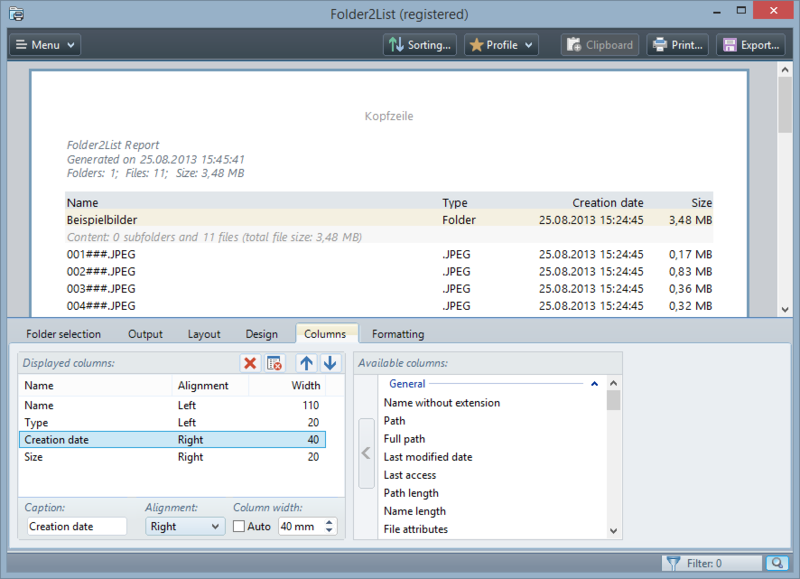 A variety of folder and file properties including metadata can be used as sort criteria.